Best headphone amplifiers 2018 | What Hi-Fi? Want more? Many headphone amps also include a built-in DAC, so you can hook up a laptop and create a compact and effective desktop hi-fi system. Read on for the best headphone amps around right now. This Award-winner is near-flawless option for anyone looking to give the music on their phone or laptop a hi-fi-tinged boost. Crazy name, great product. The form and function is basic, with no added DAC, but the sound quality is superb and a real step-up on your laptop's output. An upgraded version of an Award-winner - so what's not to like? Clear, open treble and tight bass make this a great option at the price. A swish looker and, at this sort of money, a fine performer. 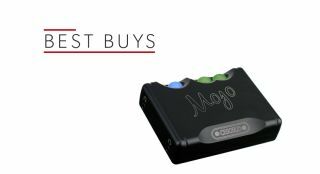 This DAC and headphone amp won our Product of the Year Award in 2016 and figured strongly again in 2017 - and it's easy to hear why. Its audio quality surpasses what we'd expect at this price. Extensive features, fine build and the sound quality we've come to expect from Audiolab. This is a solid upgrade on an Award-winning product that well and truly justifies the outlay. This striking headphone amp/DAC delivers an equally striking sound, especially with a decent set of headphones. We don't often give Product of the Year Awards to relatively expensive products like this - so the fact we've done so speaks volumes for Hugo 2's performance. Daft name, extraordinary product. If money's no object then you need to hear DAVE.